The record-breaker is not only ultra-thin, it is now lighter than ever! 2018 was the year of the ultra-thin watch. No debate! 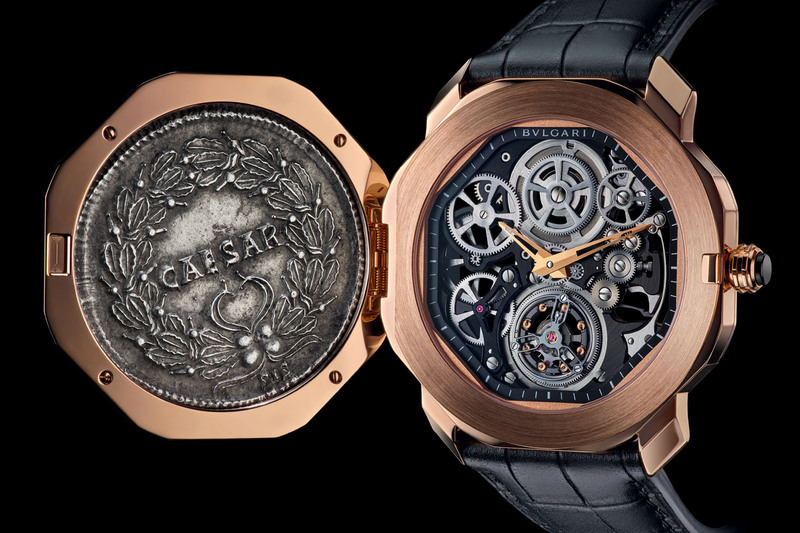 Piaget and Bvlgari, which engaged in the battle for ultra-thin a couple of years ago, literally smashed one record after another in less than two months. 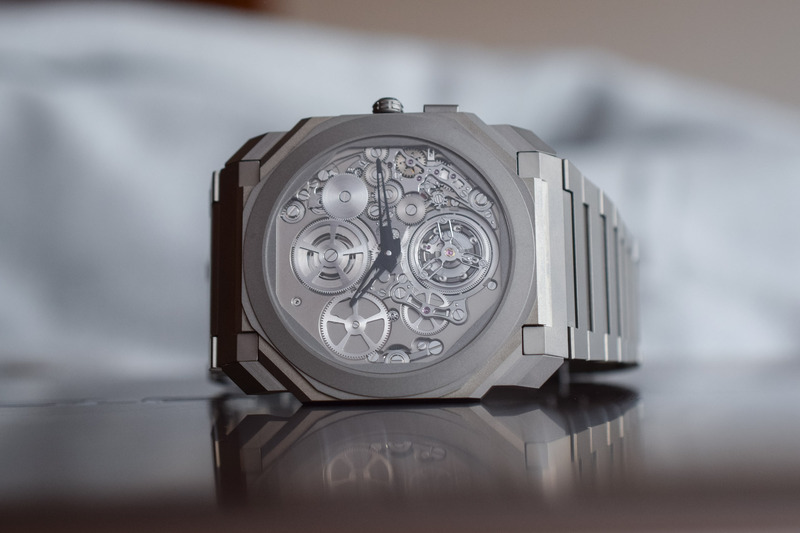 The final word, however, went to the Roman brand, which introduced the ultra-impressive Octo Finissimo Tourbillon Automatic at Baselworld 2018. 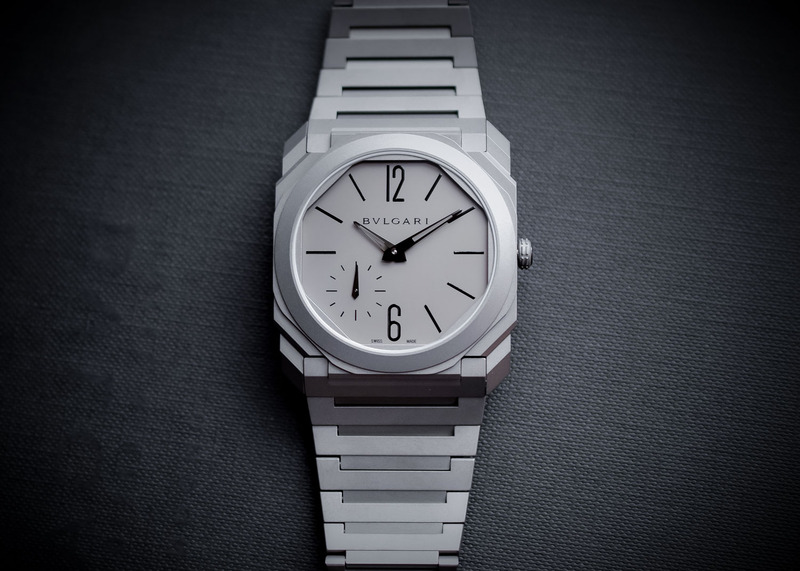 After winning the thinness record, Bvlgari has decided to play on the weight of the watch. 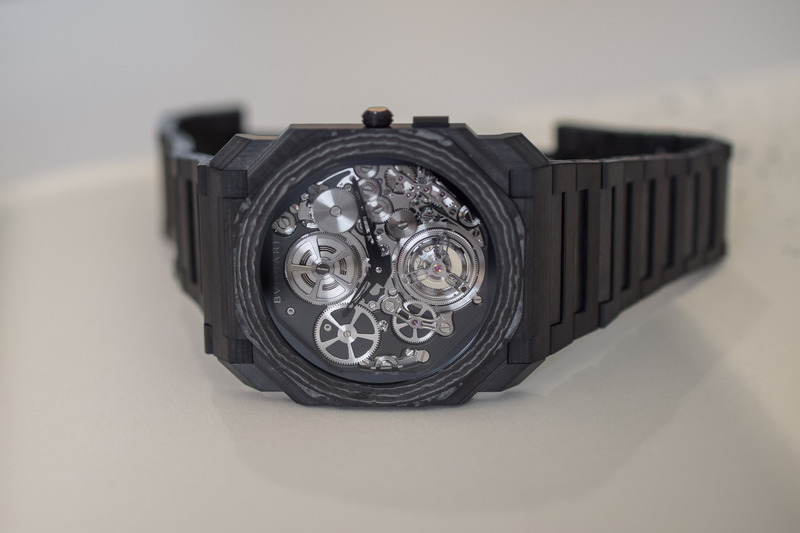 While not breaking lightness records, the new Carbon version of this watch makes it as light as a feather. March 2017, Baselworld: Bvlgari introduces the Octo Finissimo Automatic, with a 5.15mm thin case (the thinnest automatic on the market). December 2017, pre-SIHH: Piaget is back in the game with the 910P Altiplano Ultimate, the thinnest automatic watch ever created, at 4.3mm. January 2018, SIHH: Piaget wins all records with the thinnest mechanical watch ever, the Altiplano Ultimate and its 2mm thin case (however, a concept watch, not commercialized). 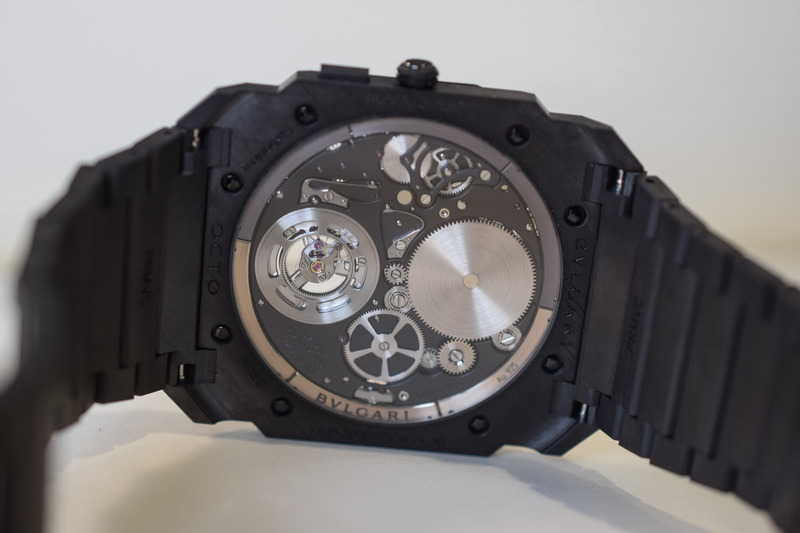 March 2018, Baselworld: Bvlgari strikes back with the Octo Finissimo Tourbillon Automatic, the thinnest automatic watch and the thinnest tourbillon, with a 3.95mm thin titanium case… There is no denying that the last 18 months have been spellbinding when it comes to the ultra-thin watches. Let’s return to the present and the upcoming Geneva Watch Week 2019, where Bvlgari will exhibit its “Pre-Baselworld 2019” novelties (the brand isn’t officially part of the SIHH and exhibits in the city centre of Geneva). After conquering the thinness of its watches, the brand has decided to look at another specification; their weight – something that is often forgotten but still extremely important when it comes to comfort. 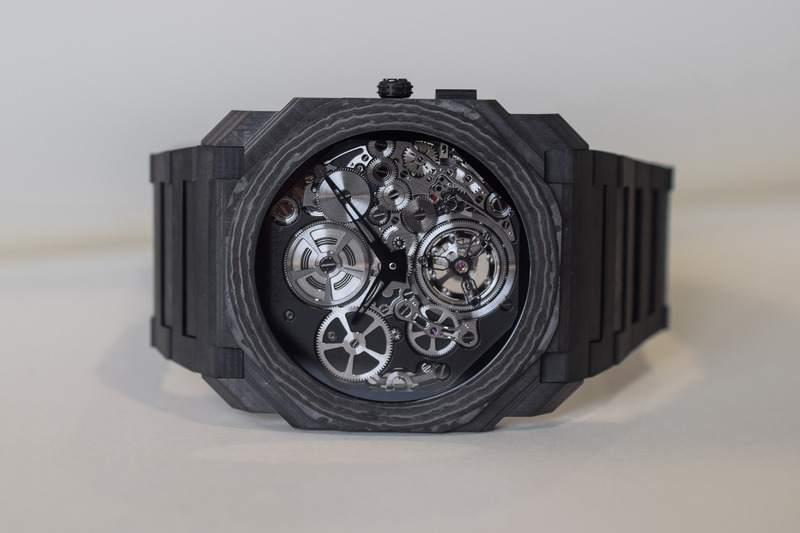 Using the same recipe applied to the Octo Finissimo Minute Repeater, the Roman brand equips its Octo Finissimo Tourbillon Automatic with a multi-layer CTP Carbon fibre case. As with the repeater version, the look is “special” – in all fairness, it is a disruptive watch that some will love and others will hate. 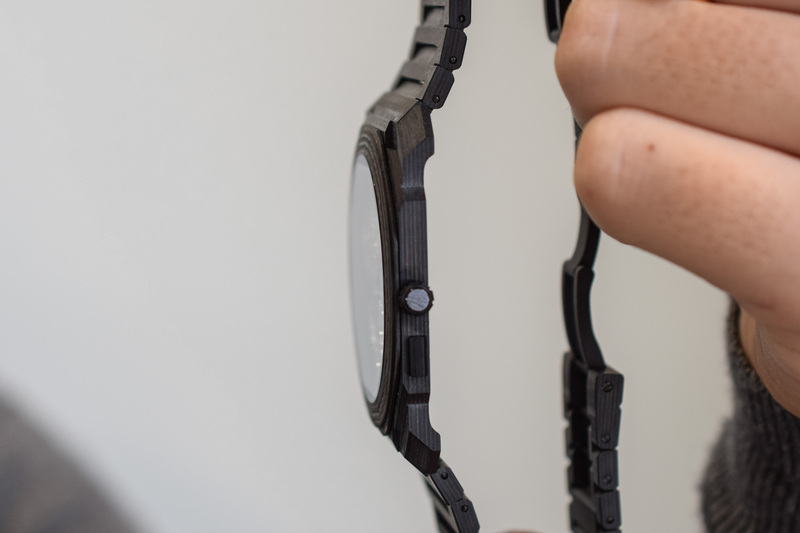 Still, the result is visually bold and unique, with layers of carbons playing with the original shapes of the watch. 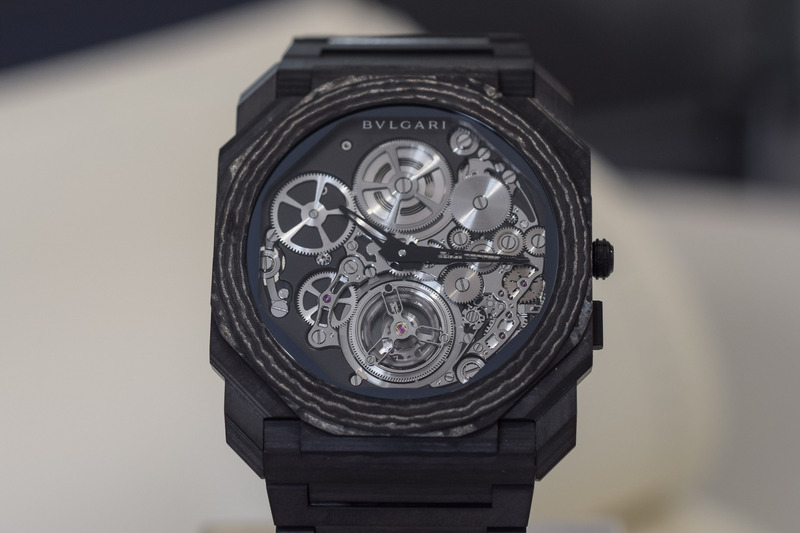 The case, bracelet and dial are crafted in this dark and light material, resulting in a watch that weights only 48 grams – according to Bvlgari, this is the thinnest carbon automatic watch. 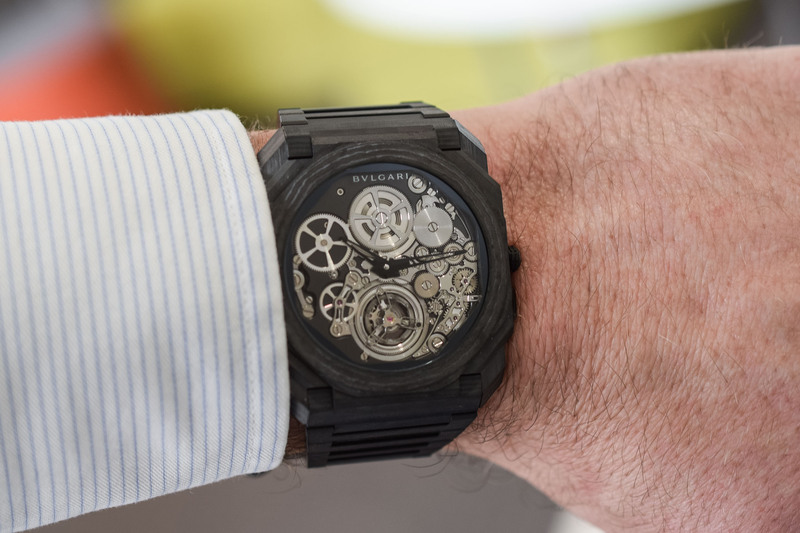 Apart from the change of material, the watch is the same as the model shown at Baselworld 2018. 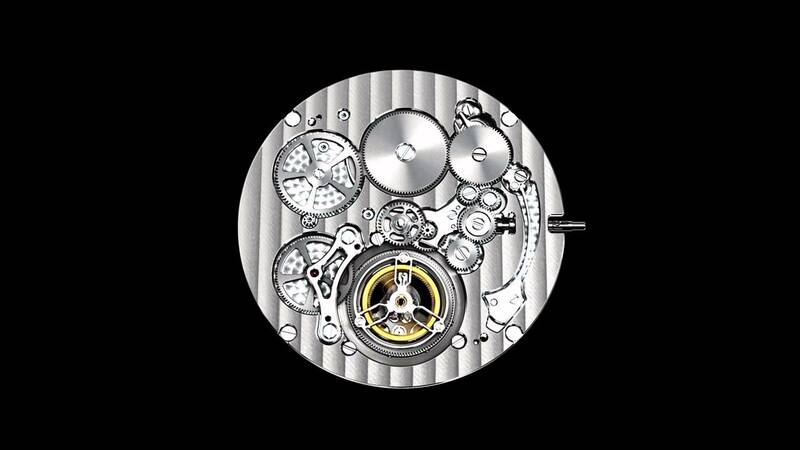 This means a 1.95mm thin movement with a flying tourbillon and peripheral rotor and a 42mm diameter. One evolution is about the thickness, which is now 5.38mm, mainly due to the new material and to the fact that the movement is now visible through a sapphire crystal – which adds some thickness compared to the ultra-flat titanium caseback. 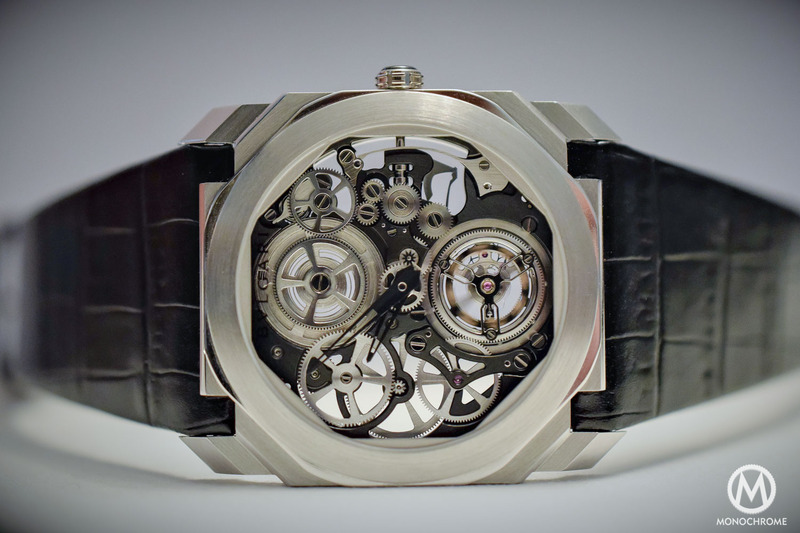 The movement is still skeletonized, not only for visual reasons but also to gain space inside the case. This watch now has a sapphire crystal covering now entirely the caseback. 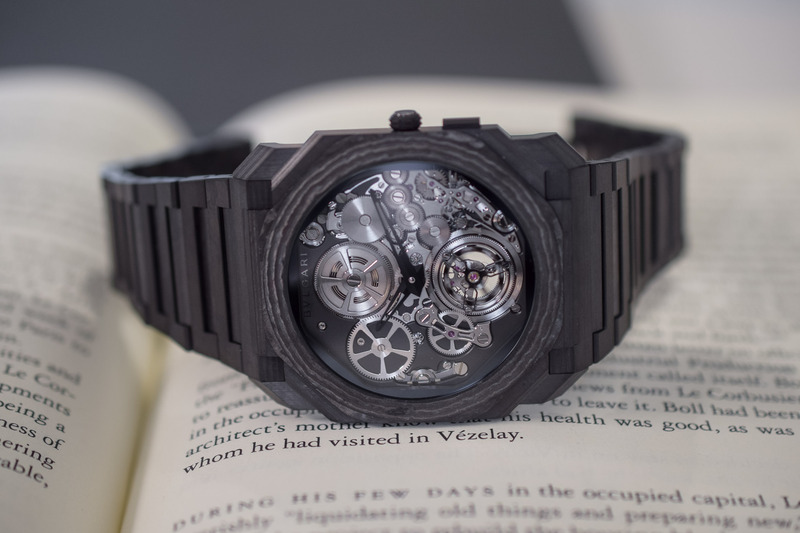 The Bvlgari Octo Finissimo Tourbillon Automatic in Carbon will be limited to 50 pieces. Price is set at CHF 130,000. More details at www.bulgari.com. you almost need an oyster to see the hands…. To “literally” smash a record would mean, I dunno, taking a hammer to a vinyl LP? Up to their usual standard of aesthetic appeal i.e. non. There seems to be a tremendous amount of gears and wheels in that, I wonder if they are just there to distract you when you are trying to tell the time?